The sun stopped shining for Sun Microsystems: the company reported a revenue drop by 20% for its third quarter. Furthermore, the accounting department also unveiled a net loss of $201 million on revenues of $2.61 billion. The figures look bad, especially when compared to financial results from the same quarter of last year: net loss of $34 million on revenues of $3.27 billion. This is an especially wrong moment for Sun to come up with such figures. The company has been in talks with Oracle, as the latter was interested in purchasing Sun. At that time, the acquisition sum was of around $7.4 billion. But now, Sun is struggling to keep its business ship afloat, in spite of the fact that the current economic climate is filling it water really fast. 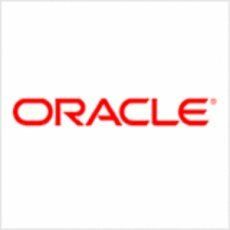 It’s more than possible that acquisition talks between the two companies will carry on, as Oracle would rather wait and see just how things develop for Sun. Still, one things is clear: Oracle will indeed propose a new acquisition sum. And it won’t be $7.4 billion.